Lately I’ve spent a fair amount of time thinking about the funding opportunities for creative artists that I’ve seen posted online. What they almost always describe doesn’t fit my profile at all. Many are limited by gender, ethnicity and/or (most often) age. While I understand the need to give voice to those most often overlooked in the past or just starting out, it got me thinking. 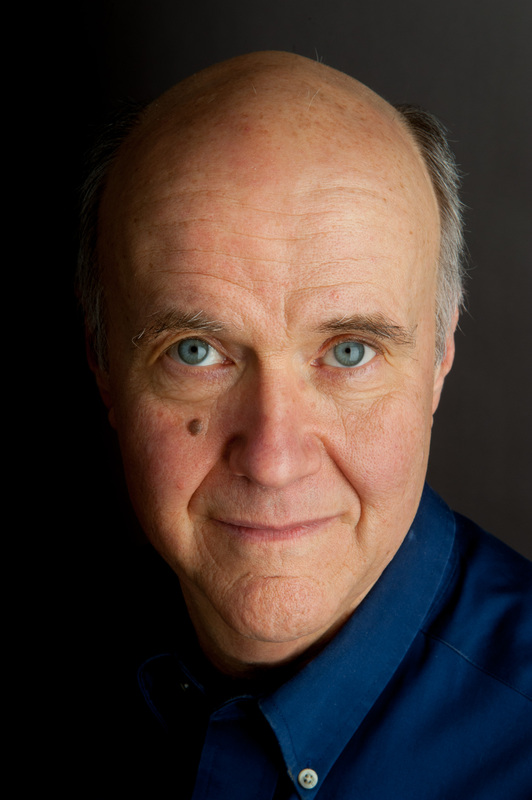 After some (all right, a lot of) grumbling, I tried to frame the issue as a positive question: what do I, a male, white composer in his early 60’s, have to offer? How about a lifetime of experience, with all the joys, frustrations, love, pain and learning that came with it? My art is a product of that life as well as of my upbringing. I grew up in a household where art and its role in society, respect and love for the natural world, and the consciousness of social inequities were all part of our discussions. My pacifism, empathy for the underdog, and efforts to make the world a better place come from this background, as does my need to create. After many years of lamenting that I wasn’t a social activist, I realized that I had been so all along. My music expresses my desire to reach people as directly as possible, to move them emotionally and bring them together. In my music’s calling on listeners’ higher selves, composition is my own small contribution to community and world peace. Is my experience as an artist unique? Yes and no. Yes, in that I’m the only me around; no, in that we all have stories to tell and that the world can benefit from our experiences, however expressed. Many of us think that our lives don’t hold much interest or value for others, that our stories are “nothing special.” In fact, the sum of our experiences that makes us unique in a curious way can also make us part of the universal human thread. That means there is value to humanity in our tales. What does each of us have to offer? Quite a lot, actually, if we’re willing to do the hard work necessary to communicate from our lives fully and honestly. This entry was posted in Uncategorized on February 13, 2014 by Erik Nielsen. In my first two entries I’ve been writing about music and community. For me no one united those two concepts better than Pete Seeger, who died Monday at the age of 94. Pete engaged people through music in ways great and small, performing on television for millions or jamming with young musicians he’d just met in a motel hallway. Pete (I don’t think anyone thought of him as Mr. Seeger) helped bring people together through song wherever he was, including traveling to places where he felt folks needed the power of music to uplift them. He didn’t preach or patronize, he just sang and let the music and words work their magic, whether in labor camps out West or with sharecroppers in the South. And he didn’t sing to people, he sang with them. It was this belief in the power of song that made him so beloved by ordinary folk and feared by those in power. He was blacklisted, cited for contempt of Congress, had his appearances on television censored and yet he never stopped singing nor was he afraid to speak out against injustice through music. That was Pete Seeger. He could be comforting and gentle, but he also used song to stand up for justice and the right as he saw it. He had a hammer and it rang out. It’s ringing still. Ring on, Pete! This entry was posted in Uncategorized on January 29, 2014 by Erik Nielsen. I’ve worked for many years to engage listeners through my music, and my efforts took a more formal turn this past fall when I taught a music appreciation class for the first time. 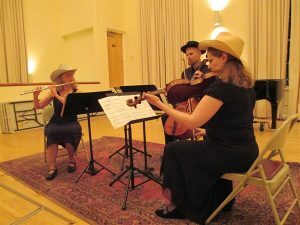 Titled “Everything You Always Wanted to Know About Classical Music But Were Afraid to Ask”, it was sponsored jointly by the Monteverdi Music School and the Montpelier Senior Activity Center. It was a dream come true for me: an opportunity to talk about music I love and bring to life the composers who created it. At the same time I hoped to de-mystify the world of concert music by explaining musical elements (melody, bass line, etc.) as tools for enhanced listening pleasure. I had a wonderful time! These engaged elders showed obvious pleasure in listening to and exploring musical examples with me, even though some of the pieces were unfamiliar to them. However, I found that the teaching went both ways, as I was confronted by some of my unexamined assumptions. One student approached me after class and said she didn’t understand many of the words commonly used in talking about classical music. As a result, I created a glossary of terms that was appreciated by all members of the class. I also learned that, despite my best efforts to keep things simple, many concepts needed more repetition than I provided. It seems that for many in the class, the experience of listening and absorbing the music itself stuck with them more than some of my explanations. (Well, duh! The music itself is much more important than anything I could say. My task now is to find more direct ways to help them “get inside” the music.) I was grateful for their feedback, and I plan to incorporate what I learned from my intrepid students into the class when I offer it to a new group in the spring. I’ll also offer a follow-up set of classes for those who took the course last fall. For me it’s important to keep at this. Not only does teaching such a class help me grow, it also gives me a chance to share my passion for music and little by little to help strengthen the musical community right here in Central Vermont. This entry was posted in Uncategorized on January 22, 2014 by Erik Nielsen. This is the first of what I hope will be a fairly regular series of writings about composing, art and life from my perspective. While it will be my first foray into writing about my observations, I find that after more than 40 years of composing those thoughts continue to evolve, so I might as well share some of them. How important is audience engagement in concert music performances? Judging by my recent experience, it’s more important than ever. My biggest musical events of 2013 occurred a little over a month ago, in Boston on December 7 and 8. That’s when A Far Cry , the absolutely splendid chamber orchestra, gave the premiere performances of Glimpses of Azure, a 20-minute four-movement work written for them. Although I’d known and loved their expert, high-energy, joyous approach to music making since their first season, it took six years for a commission to come together. It was worth the wait. The December 7 performance took place at A Far Cry’s “home” venue, St. John’s Episcopal Church in Jamaica Plain. I knew I was in for something special as people started to arrive an hour early for the 4 p.m. concert. By 3:30 folks were streaming into the church in groups of six to ten, greeting each other happily. Clearly, this was a crowd out to enjoy themselves. And enjoy they did, despite being crowded into not just the main pews, but folding chairs set up in the back of the sanctuary as well as in the choir stalls behind the orchestra. I’ve never been to a concert where the audience was such a full participant in the experience, absolutely hushed during the music (despite the creaky, bare wooden pews) and then exploding into joyous applause thereafter. I’ve also never received so many compliments from total strangers, who told me how moved they were by my music. I felt part of a warm, engaged community, present to experience fully the musical gifts A Far Cry bestowed in return for total emotional and spiritual support. It was a peak experience. The next afternoon the same program was presented as part of the Isabella Stewart Gardner Museum’s concert series. 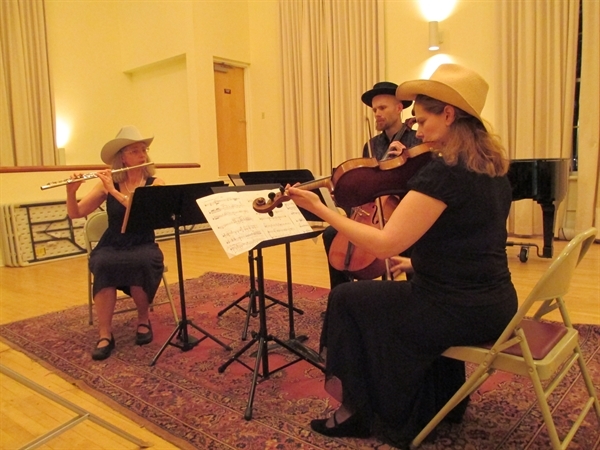 (A Far Cry is Chamber Ensemble in Residence at the Gardner.) The venue itself, a four-level glassed-in box with single rows of seats around each of the three balconies and a double row on the main floor where we sat, precluded the sort of intimate communal experience of the previous day. However, A Far Cry again performed beautifully and they and the music received warm applause and a fine review. I would call the experience more intellectual than emotional, in contrast to that of the day before. I’ve given some thought to how different the two experiences were. In part, I think it was due to the venue itself. In Jamaica Plain we were all crowded together in a happy mass, while at the Gardner the layout of separate balconies with single rows worked against any feeling of commonality or togetherness in the audience. So why were the two audiences and my experiences so different? Both concerts were parts of series with a loyal following, and both feature A Far Cry on a regular basis. However, the St. John’s crowd obviously looked on the performers as “theirs” and listened raptly and with full emotional engagement, something I didn’t sense nearly as much from the Gardner audience. Do I have any conclusions I draw from this? Yes, I do, and it has to do with the importance of audience members in the performance of concert music. I am used to committed listeners here in Vermont, and that goes for listening to new works as well as established pieces, so I have much more than two concerts from which to draw my experience. I think it behooves both composers and performers to work and reach out in new and also old ways to let laypeople know how important their participation is. If there’s one thing I had reinforced for me by these concerts, it was that the term “active listening” is not a contradiction in terms and it is something palpable. The days of performers merely showing up with or without a preceding reputation and letting the notes (both printed program and actual music) do the heavy lifting are over, if they ever existed. I’ve seen time and again that returning to a venue and establishing a rapport with listeners is vitally important for performers, as is their approach to the music.The more joy they feel and show in their playing, the more the audience will respond. As for us composers, we have a charge as well. For me music is not just a language, it’s a form of communication, and I work very hard, as many of us do, to reach the audience as directly as possible. We composers need to make sure we’re reaching out too, speaking to listeners with our music instead of just to ourselves or each other. Our compositions are our contribution to a sense of community and being as inclusive as possible is part of our vocation. This entry was posted in Uncategorized on January 14, 2014 by Erik Nielsen.